I studied the recorder with Frans Brüggen at the Royal Conservatoire at The Hague from 1968 to 1972. When he was on a tour I was taught by Jeanette van Wingerden, and later by Kees Boeke. In the school holidays I went to baroque courses, where the tutors were young pioneers such as Ton Koopman, Ku Ebbinge, Jaap ter Linden and Jeanette van Wingerden, and where tutors and students discussed the way they thought ‘early music’ should be played. I had an exciting and inspiring time at the conservatoire, but after my professional training as a music teacher I felt the need to do other things as well. After having taught the recorder for several years, I started training as an English translator. After that I trained as a teacher of English, and from 1997 to 2010 I was a freelance teacher at ITV Hogeschool, a training institute for professional interpreters and translators. But the recorder has never ceased to play a major role in my life. Throughout the years I have always kept playing and teaching. I attended courses (often in England) and I took lessons, most recently with Marjolijn van Roon. I also took conducting lessons with Michel Havenith. Ever since 1990 I attended this most inspiring Summer School almost every year – as a student. I have been greatly inspired by Eileen Silcocks, Marion Scott, Andrew Collis, Philip Thorby and all the others. In 2014 I stepped in for a tutor who was ill. I was delighted to be invited again for the 2015 and 2016 Recorder Summer School. I started teaching when I was still a student, at a private school for children who for various reasons did not fit into the regular school system. After this I taught at the music schools of Delft and Capelle a/d IJssel, at the Municipal Conservatoire of Zwolle, and at Le Lycée Français in The Hague. 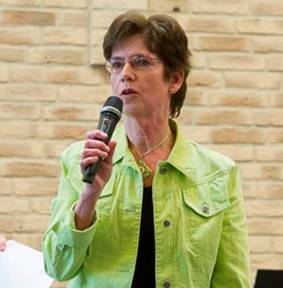 From 1 February 1977 till 1 February 2007 I was a teacher at the music section of Stichting ToBe at Dordrecht. At the moment I focus entirely on my private practice. My pupils are aged 5 to 80+. I teach both beginners and advanced students, individually and in groups. Most recorder players like to play together with others, and I try to create opportunities for them to do so. I coach several small ensembles, and conduct two large recorder groups. One of these is a recorder ensemble that rehearses once a month at Scheveningen (see under ensemble playing and group lessons). 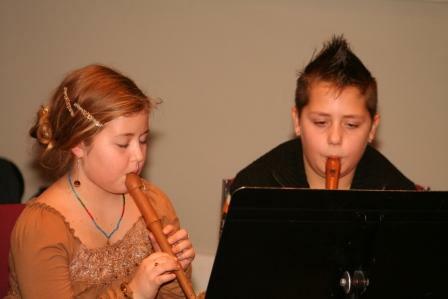 The other one is the recorder ensemble of Huismuziek Delft. Like most of my colleagues, I feel I am a player as well as a teacher. I love playing with both colleagues and amateurs. Through the years I have given concerts with various ensembles, and I have also performed as a soloist, but such activities have always been like inspiring ‘extras’. Yet I feel that my affinity with the recorder is deep rooted. I played the clarinet for many years, and I like accompanying my students on the spinet or the piano, but the recorder is and will always remain the instrument I love best. I like being a teacher because I enjoy sharing my experience, knowledge and enthusiasm with my students.